After months of consultation and research, the Department of Labor and Employment of the Philippines through Secretary Silvestre Bello III signed the new contractualization order which hopes to regulate contractualization and protect workers rights in the country. Labor Lawyers in the Philippines have been occupied with labor-related issues since the signing of the new department order. Several stakeholder groups believe that the department failed to stay true to the President’s promise of ending contractualization. Despite the Department’s statement issued last 17 March 2017 emphasizing that the “power to prohibit all forms of contractualization” lies not with the Department Secretary but with the Legislative body, stakeholders still feel that the Department has significant shortcomings in reconciling the interests of the laborers and the employers. Hiring through agencies is still allowed. D.O. 174 continues to allow employers to hire workers through agencies. DOLE only regulated the registration of agencies by putting several filters in place. The regulation included raising the registration fees for contractors and subcontractors from PHP25,000 to PHP100,000 and their needed capitalization from three (3) million to five (5) million. The validity of the certificate of registration has also been shortened from three years to just two years. This shows that agencies will not be totally removed from the “ecosystem” of employment and employers will still be seeking services of registered agencies. Surely, the law may weed out the less-capable and poorly-managed agencies which expose workers to the vulnerabilities of abuse and insecurity. 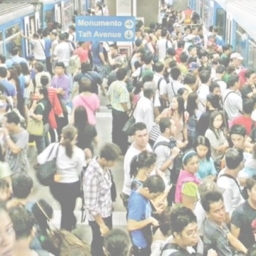 But the new order did not totally eliminate contractualization, which was one of the original campaign highlights of current President Rodrigo Duterte. The department order also reintroduces a provision on “permissible contracting or subcontracting arrangements”. This clause highlights and defines the conditions which are ‘allowable’ based on certain circumstances. This was first seen in D.O. 10 in 1997 which was revoked through DO 3 in 2001. The labor group feels that the revival of this clause not only goes against the administration’s promise of ending contractualization but also ‘promotes’ allowable contractualization. Standard Administrative Fee of 10% has been omitted. The previous department order, D.O. 18 of 2011, indicated that under the Service Agreement with the Contractor, a standard administrative fee which should not be less than 10% of the total contract cost should be included. The new department order has omitted this clause which now gives contractors more flexibility in pushing their contract prices down. This can spark pricing-based competition which can be ultimately detrimental to the laborers. 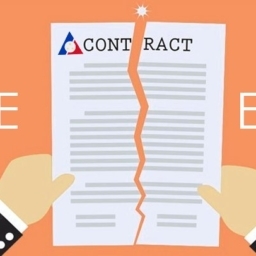 All these new (or even old) angles presented by the new department order should be carefully considered by the three parties involved — the employer, the agency, and the employee — in this scheme of contractualization. The Department encourages compliance of employers and agencies. Compliance based on the minimum set by the department may be realized by engaging credible legal services, specifically labor lawyers in the Philippines. Employers, agencies, and workers in Cavite, Laguna, and Batangas can engage high-caliber labor lawyers in BGC area. The requirements and needs of the worker and the employers are equally important in crafting labor policies such as D.O. 174. A healthy Philippine economy depends on the growth of businesses and the health and stability of its workers. Workers depend on their employers for the provision of a healthy and safe environment, supplemented by fair monetary and non-monetary benefits. On the other hand, employers also depend on their workers to grow their business. Having comprehensive policies with the objective to balance the interests and needs of its stakeholders is one of the most crucial steps to push the economy forward.